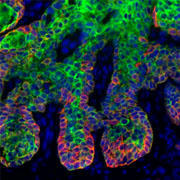 You are here: Home 2012 January Cancer: A disease of stem cells? Dr. Weeks’ Comment: Are you or someone you love getting chemotherapy? Ask your oncologist what he or she is doing about the really dangerous cancer cells, the cancer STEM cells. Ask your oncologist is he or she knows that chemotherapy doesn’t kills cancer STEM cells, on the more benign cancer TUMOR cells…. read on and search www.weeksclinic.com for “stem” cell if you are curious. This factsheet was created by CÃ©dric Blanpain. Images by CÃ©dric Blanpain, Benjamin Beck, Khalil Kass Youssef and Gaelle Lapouge. Transit amplifying cells that divide a certain number of times then differentiate (or ‘mature’) into specialized tumour cells. Many questions remain to be answered about cancer. More studies are needed to determine precisely how different cancers grow and how they resist medical therapy. Do all tumours contain cancer stem cells? What type of cell is the cell of origin, or starting point, for different cancers? Researchers are also investigating how cancer stem cells are controlled. 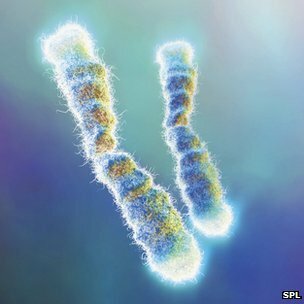 What genes, proteins or other molecules are involved in their development and behaviour? Does the tumour’s immediate surroundings, or ”˜microenvironment’, affect how cancer stem cells behave? The answers to these questions will be important for future cancer treatment strategies. A different opinion on how to live life!